The Federal Government on Friday admitted that the suspension of the Operating Licence of Dana Airlines immediately an aircraft belonging to the airline crashed on June 3 was against global aviation practices. The FG said the best it could have done then was to isolate the particular aircraft involved in the crash and carry out the necessary investigations. Minister of Aviation, Mrs. Stella Oduah, gave the explanation on a Channels TV breakfast programme. She was reacting to the strong condemnations from the family members of the victims of the crash, after the FG restored the airline’s operating licence on Wednesday. The FG had suspended Dana’s licence on June 5, 2012, two days after its Abuja-Lagos flight 0992 crashed into residential and commercial buildings in Iju-Ishaga, on the outskirts of Lagos, killing 153 passengers and crew on board. But on Wednesday, the FG lifted the suspension, saying it was satisfied with the air-worthiness of the airline after a rigorous technical, operational and financial audit. The decision, however, attracted criticisms from those affected. The victims of the crash, claim that their agony has been worsened by the fact that the government restored the licence even when investigations into the crash are yet to be completed and the remains of some of the deceased are yet to be buried. To them, Dana Air, which they accused of negligence, should not be allowed to fly any of its aircraft in the Nigerian airspace. But Oduah explained on Friday that it was against best practices to ground an airline because of a crash. She explained that what was allowed in the aviation sector was to segregate an aircraft and conduct an audit. She, however, added that the lifting of the suspension did not translate to the fact that the airline would return to the air immediately. She explained that the airline must still undergo the process of recertification. She said, “There is no perfect firm or organisation and that is why we started with institutional reform starting from the Nigerian Civil Aviation Authority. “Dana is not a perfect company by any means just like any other firm. When probed further, the minister said the government would not hesitate to apply appropriate sanctions once the final result was released and the airline found culpable. She said once completed, the report, being a public document, would be widely publicised for every concerned individual and group to access. “I don’t know the cause of the accident but I know what is not the cause. The accident was not due to NCAA’s lack of responsibility and it was not due to Dana not doing what they ought to do,” she explained. Oduah added that despite the clean bill of health, the FG was still strengthening the NCAA to ensure it performed better. The minister expressed surprise that relatives of some of the victims of the crash were yet to receive their compensation because she had held meetings with the airline and the insurance firm on the issue. 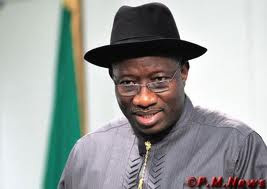 Meanwhile, the President of the Nigeria Labour Congress, Mr. Abdulwahed Omar, has said that organised labour did not have anything against the restoration of Dana’s licence. He said there was nothing wrong if the decision was based on the findings by engineers and technicians, who found the aircraft airworthy. However, a human rights activist and lawyer, Mr. Jiti Ogunye, described the lifting of the suspension as shocking and insensitive. Ogunye is among many Nigerians who have condemned the action of the FG, coming about three months after the tragedy. He questioned the rationale behind the action, saying that the report of the audit should have been made public and a re-certification effected before the announcement. Besides, he said several unresolved social, financial and emotional issues still surrounded the incident, adding that the regulators and the government should have exercised restraint in taking such an action. He said, “This is another step that has shown that the government expects Nigerians to take responsibility for their lives. If you fly, you fly at your own risk, that seems to be what they are saying. Another lawyer, Mr. Kunle Fadipe, said that except the FG tackled the allegations of neglect and bring the culpable persons to face the law, it would not be seen to have done the right thing. Fadipe said, “I don’t understand this haste. There are issues to be resolved. Emotions are still very tense on the part of several affected families and you want Nigerians to start flying the airline so soon?